During the Super Bowl I busted out some new brews which I got from a friend in Colorado. 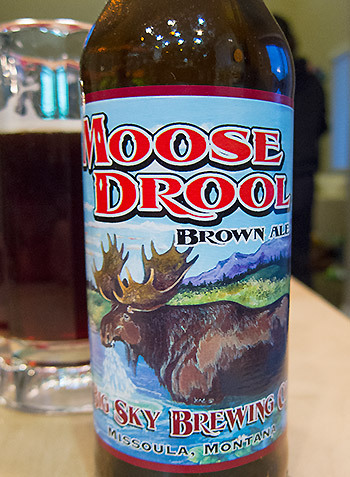 I was struck by the flavor of this brown ale by Big Sky Brewing Co., called Moose Drool. Unlike many other ales I’ve tasted this one was quite sweet and full, but not too heavy. It almost didn’t taste like beer, rather it was more like rootbeer. Normally I’m not a brown ale fan, but I’m changing my tune for Moose Drool.